Elephants have fascinated humans for millennia. Aristotle wrote of them with awe; Hannibal used them in warfare; and John Donne called the elephant “Nature’s greatest masterpiece. . . . The only harmless great thing.” Their ivory has been sought after and treasured in most cultures, and they have delighted zoo and circus audiences worldwide for centuries. But it wasn’t until the second half of the twentieth century that people started to take an interest in elephants in the wild, and some of the most important studies of these intelligent giants have been conducted at Amboseli National Park in Kenya. The Amboseli Elephants is the long-awaited summation of what’s been learned from the Amboseli Elephant Research Project (AERP)—the longest continuously running elephant research project in the world. Cynthia J. Moss and Harvey Croze, the founders of the AERP, and Phyllis C. Lee, who has been closely involved with the project since 1982, compile more than three decades of uninterrupted study of over 2,500 individual elephants, from newborn calves to adult bulls to old matriarchs in their 60s. Chapters explore such topics as elephant ecosystems, genetics, communication, social behavior, and reproduction, as well as exciting new developments from the study of elephant minds and cognition. The book closes with a view to the future, making important arguments for the ethical treatment of elephants and suggestions to aid in their conservation. 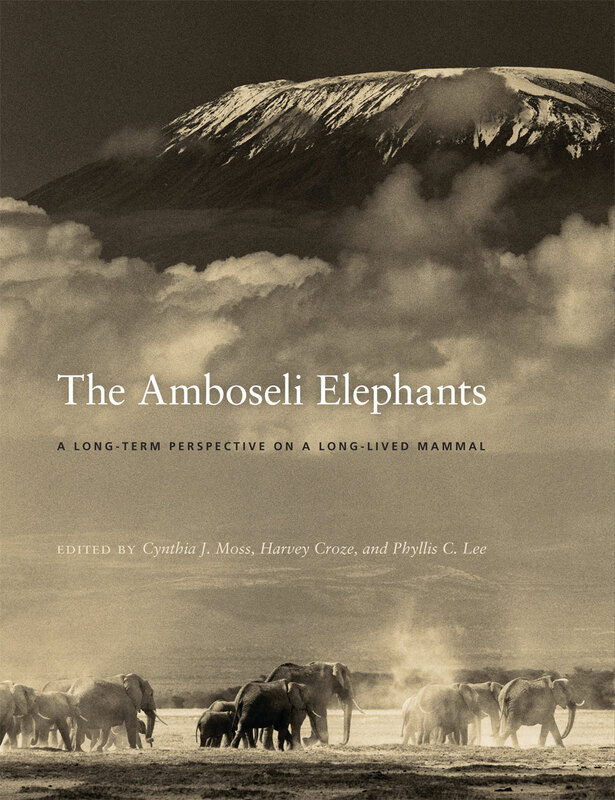 The most comprehensive account of elephants in their natural environment to date, The Amboseli Elephants will be an invaluable resource for scientists, conservationists, and anyone interested in the lives and loves of these extraordinary creatures.